The inLife Wall Charger is specifically designed for optimum battery charging. What’s worse than low battery on an e-cig break? Don’t let a dead battery stop you from getting your daily nicotine fix. NICMAXX Cigarette Charger can make sure your battery’s powered up, ready to light up your e-cigs! Get your charger now and discover why 9 out of 10 smokers prefer NICMAXX products. Our wall charger works with all NICMAXX batteries so you can charge up your spare batteries, ready for an anytime e-cig break. 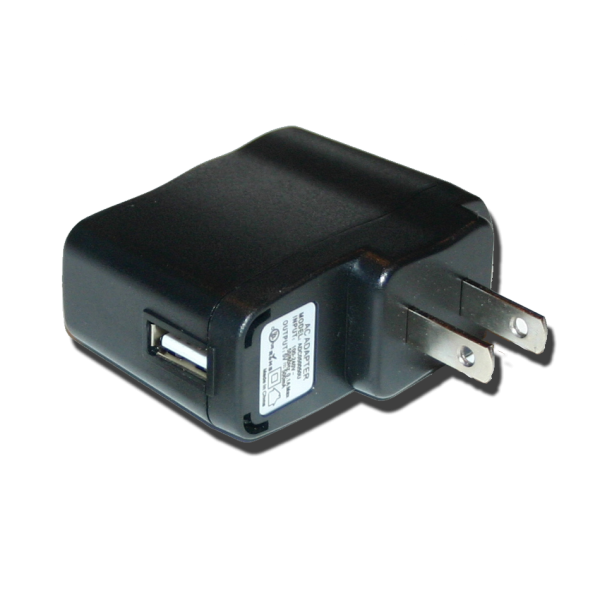 Our charger is specifically engineered with up-to-date technology to be the optimum charger for our e-cigarettes. Simply plug it into any 110V AC outlet and connect your battery to charge. Through the years, we have continued to improve our products with the latest technology through wide-ranging research and testing. At NICMAXX, we promise to give you the closest experience you can get to smoking an actual traditional cigarette, without some of the risks that come with actually smoking tobacco. The battery is the dynamo of an e-cigarette; and it takes an optimum charger to keep your e-cigarettes burning. Our NICMAXX wall charger is carefully designed to ensure longer-lasting life for your e-cig batteries and better smoking experience for YOU. Nowadays, many are choosing e-cigarettes over traditional cigarettes. Aside from the commonly advertised reason of curing chainsmokers from their toxic smoking habit, electronic cigarettes give smokers the “leisure of smoking” without having to inhale tobacco and 4000+ harmful chemicals, including over 40 known carcinogens. Unlike the foul smelling second-hand cigarette smoke, e-liquid vapor has a subtle and sweet aroma. So you do not need to worry about offended bystanders or having smelly, disgusting hair and clothes anymore! NICMAXX offers you numerous, good-tasting and definitely good-smelling e-liquid flavors you can choose from. 9 out of 10 smokers wanted to switch to NICMAXX e-cigarettes after tasting our flavors! Find out why—at a reasonable price. Order today and get free shipping on orders over $75.